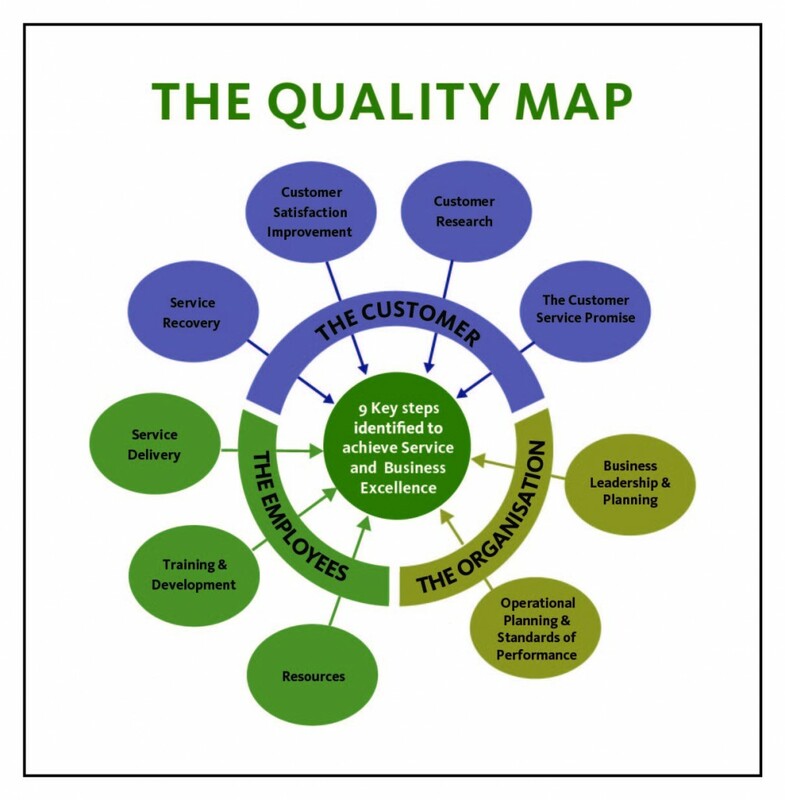 The QUALITY MAP depicts NINE key steps which focus on Customers, the Organisation and its Employees. Within these 9 steps are 44 key indicators which represent the minimum standards for service and business excellence. The steps and indicators help an organisation to measure the effectiveness of its internal processes in meeting and satisfying its internal and external customers’ needs. The methods used to determine target customers and their on –going needs, competitor activity and market demands. What the organisation wishes the customer to experience and be judged against. Objectives for financial, marketing and operational achievement in meeting customer needs and business goals. The planning processes that ensure that all the critical stages in an operation have been identified and can be implemented and the established procedures which underpin the service plan and ensure that the customer promise are met. All the resources that are required to deliver customer service standards are identified and provided. The activity that ensures people are capable of delivering the service standards that meet the customer promise. The way of checking that the service promised to the customer is consistently delivered and customers’ views on their perception of the quality of the service ascertained. How customer service problems are identified and corrected to prevent their recurrence. How the need for customer service improvement is recognised and met.